This week in Rewarding Times, we have an exclusive offer for DOT-DROPS carry-on luggage.Designed for exquisite travellers, DOT-DROPS Chapter 2 collection is the perfect travel companion for those who are looking for functionalities without neglecting design. Travel smoothly with the Chapter 2 collection! Your luggage is easier to carry and allows you to take more stuff. 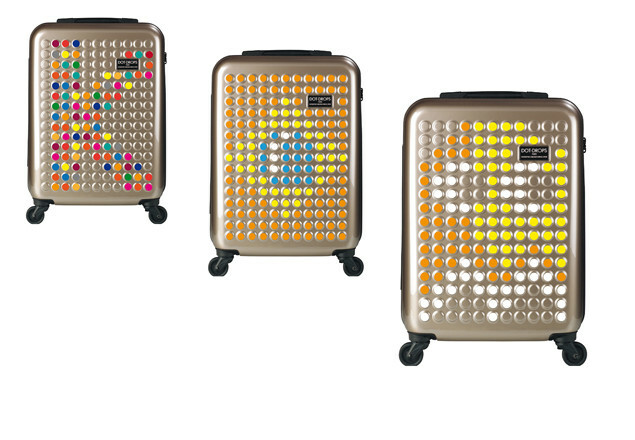 Strong, durable and handy, the Chapter 2 X-tra Light collection will meet all travellers’ expectations. Thanks to the customisation kit now included in each case of Chapter 2 Collection, your luggage won't get unoticed ! Looking for simple and clean shapes, without frills, focus on function and utility led to the creation of some of the products that best represent design in the world. Dot-Drops is designed for curious and exquisite travellers. They are nomads travelling across continents or working in an office with an open window on the world, who are looking only for the best. Dot-Drops Chapter 2 customizable Collection made from 100% Bayer premium polycarbonate with polyester lining. This cabin case features the TSA approved locking system required for travel to the USA, it also has 4 360 degree wheels from the Japanese maker Hinomoto, very quiet & ultra hard wearing. Please send an email to contact@dotdrops.fr by close of business Friday 16th June, with your Name, Voucher number, and delivery address.